Davenport University is a post professional graduate business school with several locations throughout the upper Midwest region of the United States. This planned prototypical development involved the adaptive reuse of a retail space and design of a new addition, all of which included a total design and construction period of five months. As a result, the interior design focus was placed on simple massing relationships, a modest color palette and light. In turn, the lighting design utilized readily available commodity products used in conjunction with integrated light coves where visual focus was desired. Key areas of interest included corridor and classroom spaces as well as the transition between. 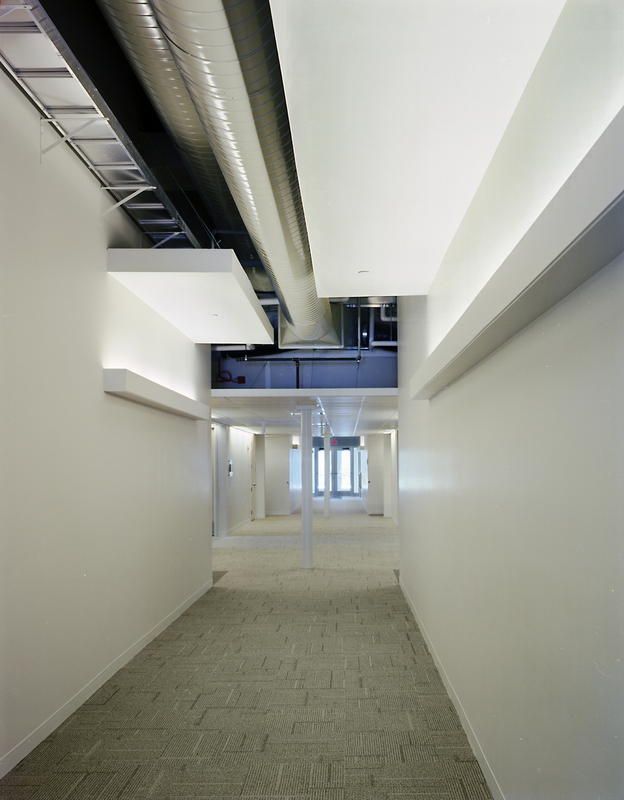 At the classroom entry dropped soffits compress the transition from corridor to classroom and conceals mechanical systems. 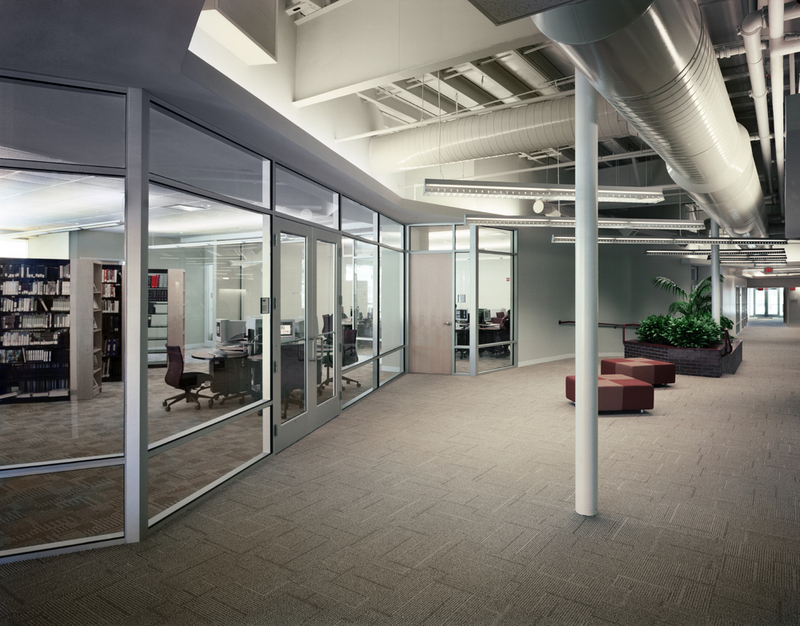 With the goal of maximizing investment and increasing visual interest, this surface also supports multiple lighting applications including wall wash accent and indirect room illumination. This use is determined by each specific entry configuration and room layout. Within each classroom vertical wall illumination is achieved through concealed light coves at teaching walls which reinforce room orientation and provide task illumination for white board use. Simple and systematic detailing systematic was developed with the architect to assure economical needs and aesthetic interests were achieved.